Social Cash Robot Review – Scam and Ponzi Investment Shares? This review is going to be a new program called Social Cash Robot. What is Social Cash Robot? Is it looks like a scam or a legit opportunity for you to expend your time and money? These are few issues that I will be covering in this short review. Social Cash Robot is a new system that was launched in February 2016. However, there is no information on the site indicating who the owner of this site is. The domain registration information also set it to private. This is the first negative thing about this site. A site that is claiming 7 minutes into $1250/day but hiding such critical information clearly indicates the accuracy of such claims. As per stats showing on the site, it has over 22000 members and paid over $5 million. The validity of such stats are difficult to confirm, but once you check its Alexa rank, then this site has an Alexa rank of 54000, which is excellent. The site is getting a good number of visitors from the USA as well. Social Cash Robot is a Revenue Sharing site that is powered by an enormously profitable secondary business that delivers business owners with valuable exposure through Social Media. I know this claim has opened your eyes, but the truth is no such thing in the world could achieve such results without doing much of the effort. For the last six years, they’ve established a massive stock of Social Media assets, profiles, and other social inventory that their system holds or buys at wholesale that can be sold to business owners on demand. Companies can choose how many “Facebook Likes and shares, Twitter Followers, or Google Plus that they require and decide where to send them and the system will automatically determine the best deal and share their purchase instantly! Business Owners can buy practically infinite Facebook Likes, Google Plus, and Twitter Followers, Retweets from their stock of Social Network assets. They sell these services at a decent profit. Millions of these transactions are happening within the network every day! How to Make Money with Social Cash Robot? Revenue Sharing – To participate in revenue sharing opportunity you must invest $49 for each share. As per written on the site, it will pay you unlimited passive income. Well, well no such thing in life can guarantee you for a lifetime passive income. You are familiar with other popular programs (Traffic Monsoon, Paidverts, Zukul Ad Network) struggling to pay their members. I checked Whois info of this site which shows site is expiring on Feb 2017. Who can guarantee that they will renew this? Even I can tell you; it can close down before this expiry period. The important question is, how the company pay other members? The answer is really simple, whenever someone purchases the service (increasing social media likes and shares or Google plus) offered by this system you will receive a set percentage of that sales. So the backbone for this to work is, companies continue to buy their services. If nobody purchases anything, you will NOT earn anything. Simple as that. Getting Referrals – Once you’ve activated your shares, you should get on top of building your downline fast. This is a hugely profitable stream of revenue that will continuously grow while you sleep! Although it’s not a requirement to sponsor others to make money, if you do then this will boost your earnings manifold. You’ll receive 10% on the 1st level of referrals which means an instant $5 to your account. Not only this, they pay you 5% of their referral as well! 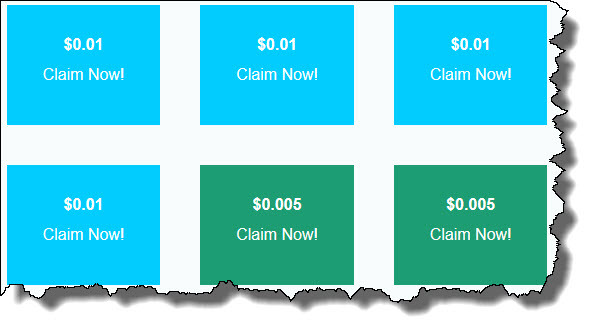 CashClix – Make sure that you check out their New Feature that will pay you cash to visit your fellow member’s websites! It is similar to PTC sites where you click ads and fraction of a cent instant credit to your account. Even FREE Members can earn a little bit of extra cash with this new feature that you can take advantage of right now! 1). Most of the claims mentioned on the site are pure false promises and they don’t have any link with the reality. How could you earn $1250 per day just by doing 7 minutes of work? Even I know sites that are earning far more than this, but this could achieve after years of time. If you are thinking you could achieve this with revenue sharing facility then you need to invest at least $125000 and let’s assume the daily earning percentage is 1% then it could become $1250 per day. 2). Do the system is generating enough revenue that can use to pay its members for lifetime passive income? The simple answer is no, they totally based on coming of new members and their investment shall be used to pay the old members. If this will not happen, the system will soon be collapsed. This makes it a pure Ponzi scheme. 3). If you don’t have money and try to use it as a free member by clicking on cashclix ads, then my suggestion is not to use this platform for that purpose. You should use following platforms that have specialized in this field like Clixsense, Neobux, and Buxvertise. Don’t forget to look at this opportunity THW Global. I simply cannot recommend opportunities like these to my viewers that are based on false marketing practices and most importantly using a Ponzi, business model. As I mentioned, earning more than $1000 a day requires a significant investment and this site could disappear anytime and leaving your hands empty. I don’t prefer such ways to earn money rather my suggestion is to go for my best choice that is not only legit but can help you to earn a full-time income from home.